15 Fun and Unique Animal Necklaces for Girly Animal Lovers! The Most Fun and Unique Animal Necklaces for Girly Animal Lovers! I LOVE animal themed jewelry and I am always on the lookout for the coolest stuff! You won’t believe these fun animal necklaces fellow girlies! He is also a smiley hippo! Stick around and see if you also like my selections of fun animal necklaces on this page! Will make a perfect romantic, fun and creative Valentine’s Day gift for your girlfriend! If you have a special giraffe lover in the family, then this is probably the perfect giraffe necklace for her! It’s very cute and shiny and you can also get it in sterling silver if you prefer! 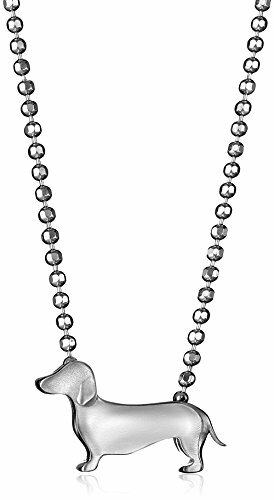 Very Cool Sterling Silver Dachshund Pendant Necklace! Have you ever seen a cute Dachshund dog shaped necklace before? Koalas are among the cutest and most adorable animals around! We can’t help by saying ‘Awwwwwwww’ every time we see a cute Koala picture or plush animal somewhere! Now everyone will say ‘Awwwwww’ when they see your cute Koala necklace! Great animal necklace gift idea for daughters or girlfriends too! 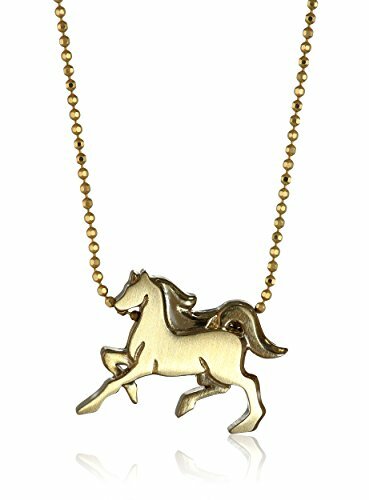 Stunning Yellow Gold Horse Pendant Necklace! This is a stunning yellow gold horse pendant necklace for sale! It’s also available in white gold or sterling silver! Beautiful Mom and Baby Dolphin Necklace! This is a stunning yellow gold mom and baby dolphin necklace for sale! I also love the sparkly diamond accents! Will make a beautiful and touching jewelry gift for moms or wives on Mother’s Day! How about a Cute and Sparkly Turtle Pendant Necklace? Hello girly turtle lovers of America! Here is a cute and very, very sparkly turtle pendant necklace for you! Full of green and brown diamonds all over her turtle body! Great gift for girly turtle lovers everywhere! 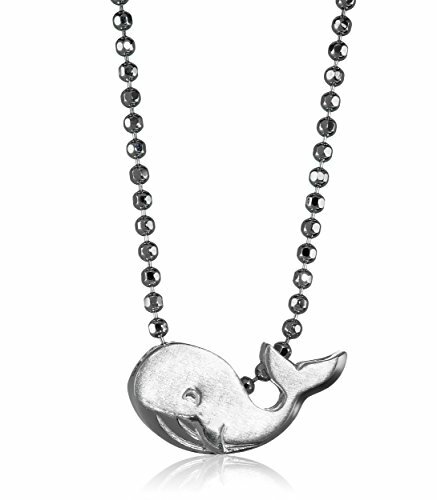 Cute Whale in Sterling Silver Pendant Necklace! Ok, now you are in for a treat! One of the most fun animal shaped necklaces for sale around in my opinion! Adorable Rose Gold and Diamond Kitty Cat Pendant Necklace! If you are looking for a very special, unique, cute and elegant jewelry gift idea for a cat lover, then I think you might have just found the one! It’s a beautiful rose gold and diamond kitty cat shaped pendant necklace! Great birthday or anniversary gift idea for wives, girlfriends or daughters! Perfect animal necklace for dog lovers! I just couldn’t resist showing you this adorable yellow dog shaped pendant necklace for sale! Needless to mention, it will make an ultra-cool and fun jewelry gift idea for girly dog lovers! 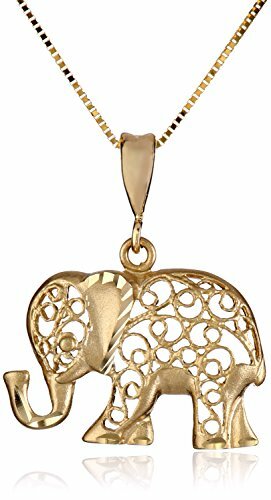 What an exquisite yellow gold elephant pendant necklace for sale! I love his very cool and unique swirling filigree design! 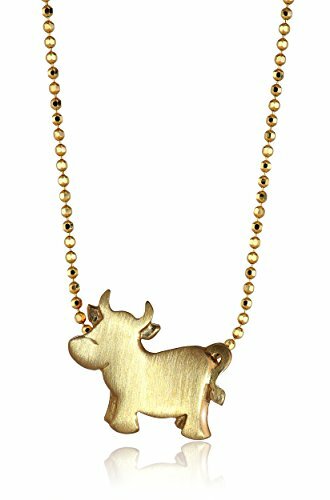 I confess I had never seen a cute ox shaped pendant necklace before and I had to include this one here! You can also get it in sterling silver if you want! 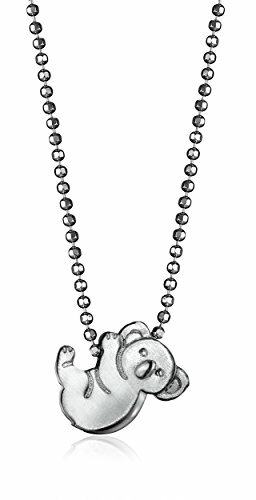 It’s a Cute Monkey Pendant Necklace! The Most Fun Animal Necklaces for Sale! As you can see he is a very happy monkey who loves ‘hanging around’! This fun pendant necklace is also available in sterling silver! 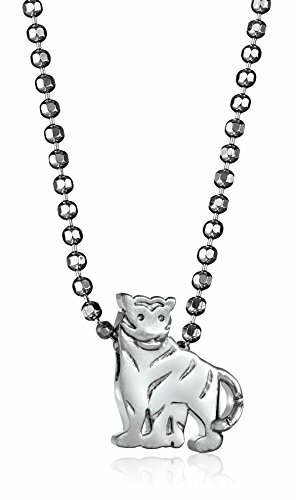 Very Cool Tiger Pendant Necklace! And last, but definitely not least in my selections of fun animal necklaces is this awesome and very unique silver tiger shaped pendant necklace! *I really hope you enjoyed these cute animal shaped pendant necklaces from this page and were able to pick an awesome one for yourself or someone you love!